Entering a butcher and making the right choices when selecting different cuts of meat can seem like a daunting task. Put that right with a little knowledge, and you're well on your way to unlocking a world of interesting kitchen potential. Selecting the right cuts according to how you want to cook them, or vice versa will save you time and money, as well as maximising on flavour and tenderness potential. Want to find out more? 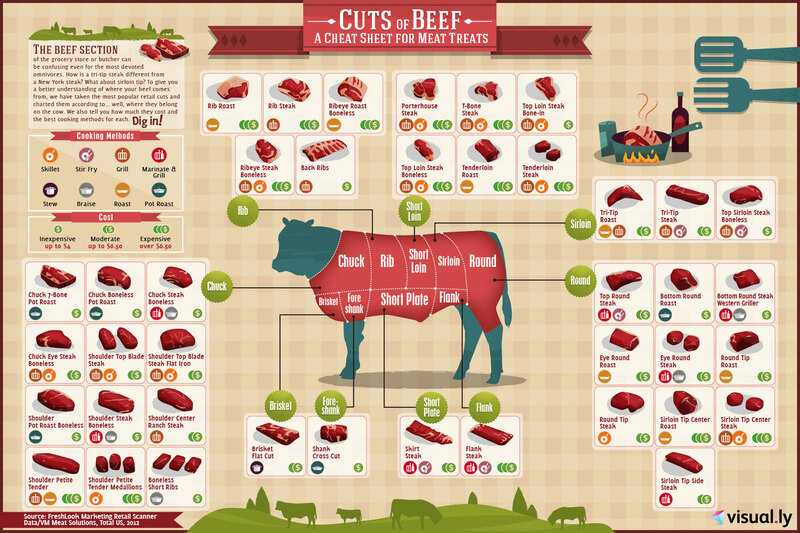 From how to choose different cuts of meat through to how to cook them, take a look at the 10 simple food infographics below, we’ve got your carnivorous pleasures covered. Did you know you have a whopping 40 cuts of beef to choose from it comes to buying a simple steak? If you can name but half a dozen favourites learn how to navigate your way around the entire animal from the chuck to the flank with this clear infographic. Not only will you learn where the cut comes from on the animal, but the associated expense and which cooking method yields the best results. Check out the ultimate beef infographic and go to guide for everything you ever needed to know about beef, from the cut down to the protein and vitamins contained inside each selected cut. There's a lot more to beef than meets the eye. The U.S. Department of Agriculture (USDA) have nine defined quality beef grades. From premium 'prime' to low end 'canner' grade, check out the infographic below which also gives you handy visuals so you know exactly what to look out for. Once you've selected your cut and quality of steak, you're going to need to know how to cook it to perfection. It's something most of us like to think we know how to do, but with a little practice and some science, you'll be able to nail everyone's steak requirements and get it right everytime. 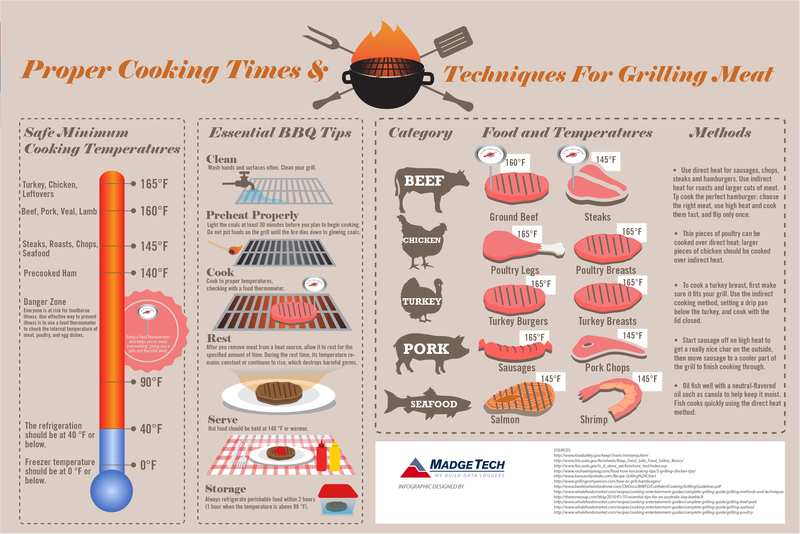 The grilling secrets infographic below reveals all you need to know. See the world through the wonderful lens of sausages. 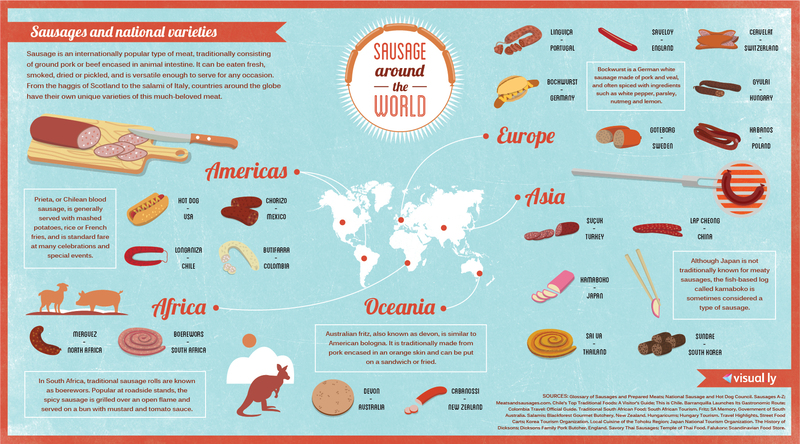 Fresh, smoked, dried or pickled, here are 20 sausages from around the world to sink your teeth into, in the ultimate sausage guide. Moving neatly on from sausages to another much loved breakfast favourite, bacon. If you love bacon, here is everthing you ever needed to know in one handy infographic, from it's history to some more obscure bacon facts, impress your bacon loving friends. Get in on the barbecuing craze with this handy infographic, which teaches everything about how to BBQ, from smoking, including which wood to use, though to how to nail cooking smoked turkey or pulled chicken. Learn how to grill any number of BBQ greats from beef and chicken to pork and seafood along with where exactly you should place them on the grill and at what temperature they should be cooked. Become the ultimate grill master with this detailed grill infographic which teaches you all the need to knows, including marinades, the odd finger technique to test the doneness of meat and some handy tips on how to clean the grill. 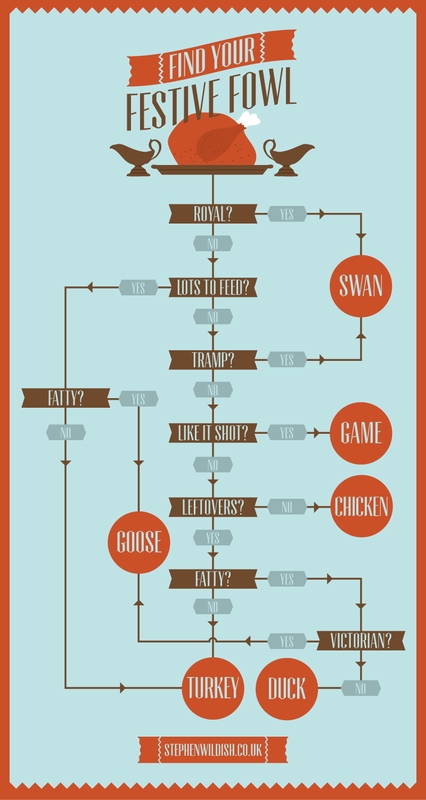 And last but not least, if you have yet to choose what bird you're cooking for Christmas day then here's a handy guide to take you down the decision tree. Whether you choose to go down the royalty route and eat swan, or the traditional 'lots to feed' route and cook up a turkey.